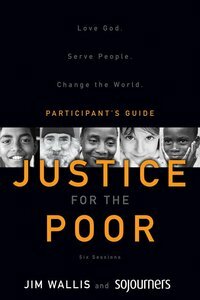 About "Justice For the Poor (Participant's Guide)"
Sojourners magazine is the award-winning publication that covers cutting-edge topics in politics and faith, war and peace, social justice, art and community-all from a deeply biblical and ethical grounding. Circulation has doubled in the last five years and the magazine's work has received critical acclaim, including numerous awards from the Evangelical Press Association and the Associated Church Press. Sojourners is relied upon to provide first-class journalism with the best theological insight into today's critical political and social issues.